Offering you a complete choice of products which include heavy duty drop forged prop nut, light duty drop forged prop nut, prop nut, handle prop nut, l and t type handle prop nut and heavy handle prop nut. Owing to our technical prowess, we have surpassed the competition by manufacturing best in class Heavy Duty Drop Forged Prop Nut. Highly demanded in the construction industry, the offered heavy duty prop nuts are used to give fine adjustments in leveling. Developed from 4 TPI thread, the offered prop nut is fabricated using advanced drop forged mechanism to render high strength. With the support of vast infrastructure, we are involved in manufacturing and supplying highly demanded Light Duty Drop Forged Prop Nut. These nuts are utilized in scaffolding systems and formwork systems. We have used premium grade malleable cast iron material to fabricate these prop nuts that are designed with a 4 TPI handle of 12mm x 150mm size. We are reckoned as major entity actively engaged in manufacturing high performing Handle Prop Nut. 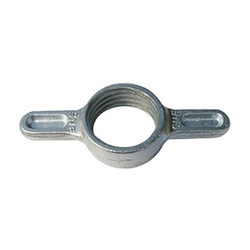 These prop nuts are widely demanded to support all kinds of formwork and utilized in varied construction applications. 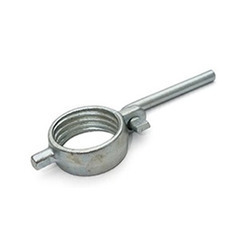 Further, our offered nuts are developed using forged steel with 4 TPI Handle that features 12mm x 150mm size.